Lynton Peters and Ariel Navarro, founders of OneCart. 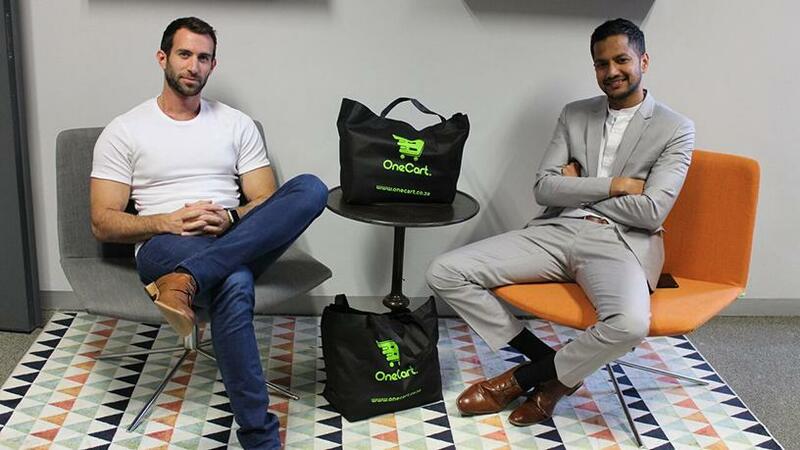 On-demand grocery concierge, OneCart has expanded its services to Cape Town, just 10 months after officially launching in Johannesburg and Pretoria. It has also announced plans to expand to Durban by the end of 2018. The Gauteng-based start-up was established by partners Lynton Peters and Ariel Navarro. It enables consumers to shop from multiple regional and national retailers, add the products to one basket, and have the order delivered in as little as two hours. OneCart has partnerships with Woolworths Food, Pick n Pay Food, Dis-Chem and Clicks. According to the company, the main differentiator from the online retail shopping services offered is that OneCart has professional shoppers who do the shopping as per the orders. Also, a calculated concierge fee is charged per order, unlike the flat delivery rate charge per cart by retailers. Notes Peters: "Our platform is innovating a previously traditional sector with the aim of providing ultimate convenience to consumers. The digital agenda is top of mind for retailers, and convenience, speed and simplicity are top of mind for online consumers." The process works as follows: Trained shoppers receive the order via an app in real-time; customers are notified when the order is received; the shopper then begins the shopping; and, within the set time frame (for scheduled orders), delivery is on the way. Navarro, who is also chief operating officer, says despite the concept of concierge shopping being relatively new in SA, the company has seen a consistent 80% to 100% growth month-on-month since November 2017. According to 2018 research from Growth from Knowledge (GfK South Africa), while online retail is still in its infancy in South Africa, there is no indication that the market is slowing down any time soon. Data from online interviews with 2 000 Internet-connected South African consumers found that most e-commerce retailers are seeing strong growth in smartphones, panel televisions, small domestic appliances, gaming consoles and laptops. Some 45% of connected consumers in the survey claimed to increasingly use the Internet to buy products online compared to the previous year. Peters notes that retailers are, however, warming up to the idea of shopping online for consumables. "With the advance of the on-demand economy, I do believe that consumers want a better or more convenient way of doing things, and we aim and create that for consumers. The platform has just reached over 1 000 active users and we anticipate strong growth in numbers." He notes the company is planning to get more stores and categories on board and is continuously implementing new technologies to build a highly scalable and efficient on-demand shopping platform.